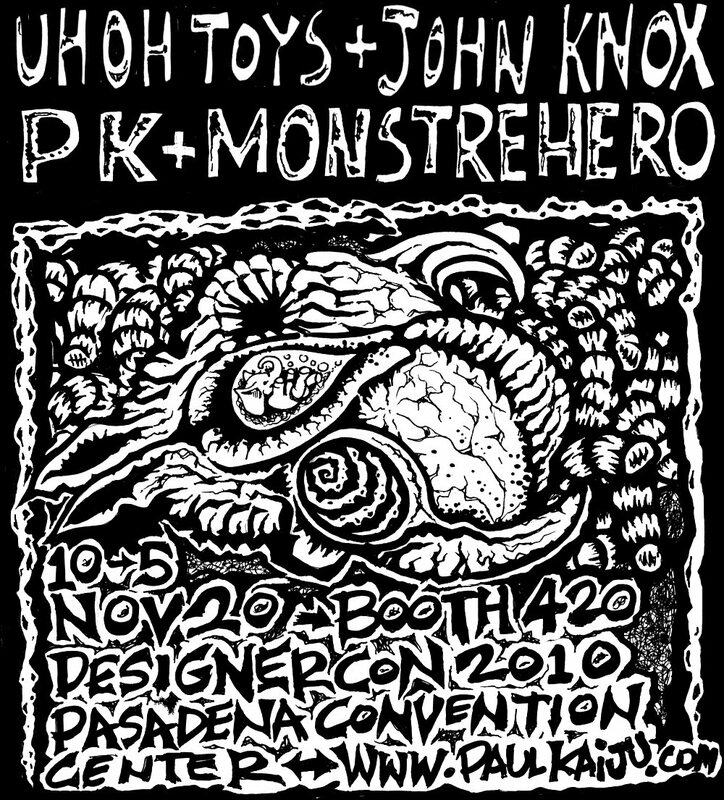 Designercon 2010 is this Saturday Nov.20th at the Pasadena Convention Center! 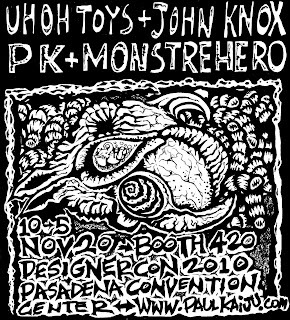 Come by booth 420 (ahem) and enjoy tons of resin and vinyl goodies from the amazing Paul Kaiju, John Knox (Hello Brute), Uhoh Toys and yours truly! It's going to be MonstreMiniMania, with a focus on our MHIMP (Monstrehero In My Pocket) sub-line of affordable resin minis and debuting our very special Mini-Monstre-Pocket-Mountain-Playset! Designercon is one day only, costs $5 and goes til 5. See ya there!